We P.G. 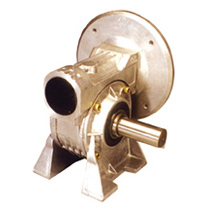 Drive are Manufacturers, Exporters & Leading Suppliers of Worm Gearboxes Located in Mumbai, India. 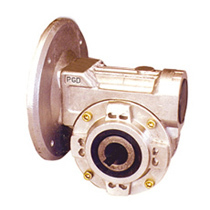 P.G DRIVE’S worm gears are milestones for the industry. Flexibility is given by the wide choice of several mounting options, shaft configurations and motor interface, all offered as standard. 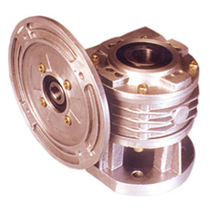 P.G.DRIVE’s standard series worm gear unit is a proven design. 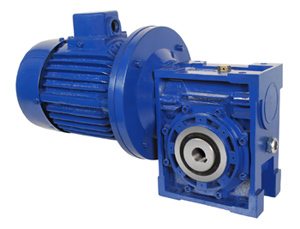 These robust worm gear units are used in the industry because of their proven track record and high reliability. The worm gear units are offered in various mounting configuration which makes it versatile for any kind of application. The small units are Rib Cooled whereas the larger units are offered with Fan Cooling. • The housing is aluminum die casted for sizes 45 to 63 and high strength cast iron for 76 to 150. • The worm shaft is made of high alloy steel; case hardened and profile ground to ensure high efficiency. • The worm wheel is machined from special alloy phosphorus bronze material. • The output of all units are provided with high capacity tapered roller bearing. • More than 25000+ worm gearboxes in operation in the industry.